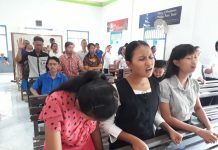 On July 8th, 2017 Praise and Divine Healing Service (KPPI) was held in collaboration with GPPK Sion, Cengkareng, West Jakarta, which is grazed by Rev. Asin Solihin. 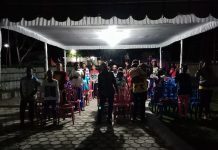 The service was started at 6.00 PM, opened in praise by Ms. Lina who invited the congregations to praise and worship God with joy. The Word of God was delivered by Rev. Solinin from Hebrews 13: 8. It said that the Lord Jesus Christ remains the same, yesterday and today and forever. God’s miracles continue for those who believe and hope in Him. The congregations seemed to really listen to the Word of God. Then the servant of God invited the congregations to believe in God and invited them to accept the Lord Jesus as Lord and Savior. Rev. 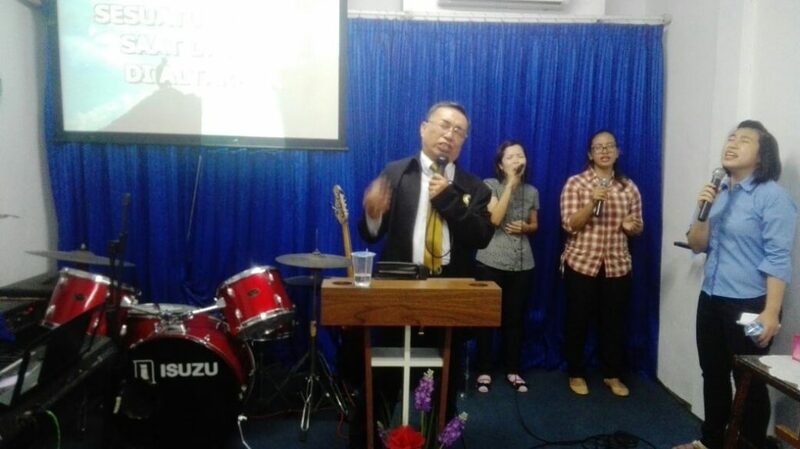 Togu Hasiholan from KPPI Jakarta team, delivered the Word of God and invited the congregations to continue hoping and believing in God. And the servant of God invited the sick to come forward to be prayed for by the Lord’s servants and counselors. Praise the Lord, that evening some were healed by God. Healed from high blood pressure for a year, and also was healed from heart pounding in which previously his hands felt stiff and cramped. 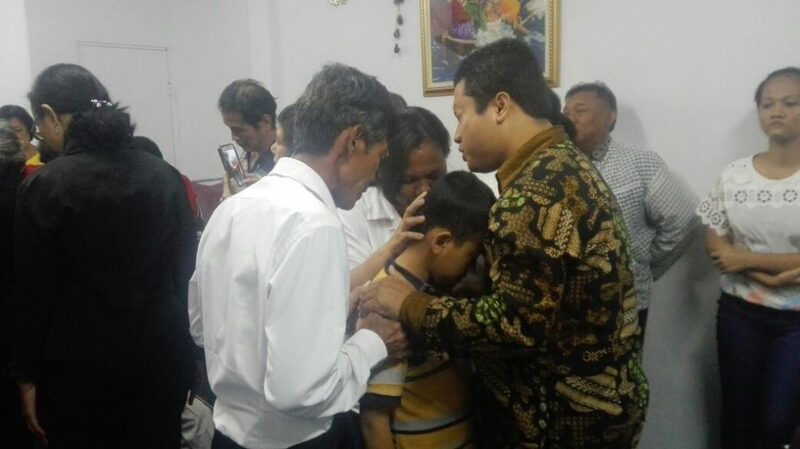 There were also healed from stomach ache, and recovered from a stiff leg pain. Hallelujah, God visited His people that evening! 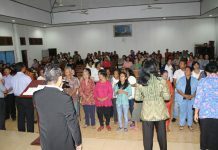 The Lord Jesus does not change and His power was revealed to His beloved people in Cengkareng, West Jakarta. All glory is only to God!